As my wife and I sat in the pew waiting for Service to begin, I mentioned to her that the crowd last evening was the largest I have ever seen during this special occasion. 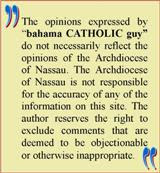 During Archbishop Pinder's homily he reiterated the exact sentiments. 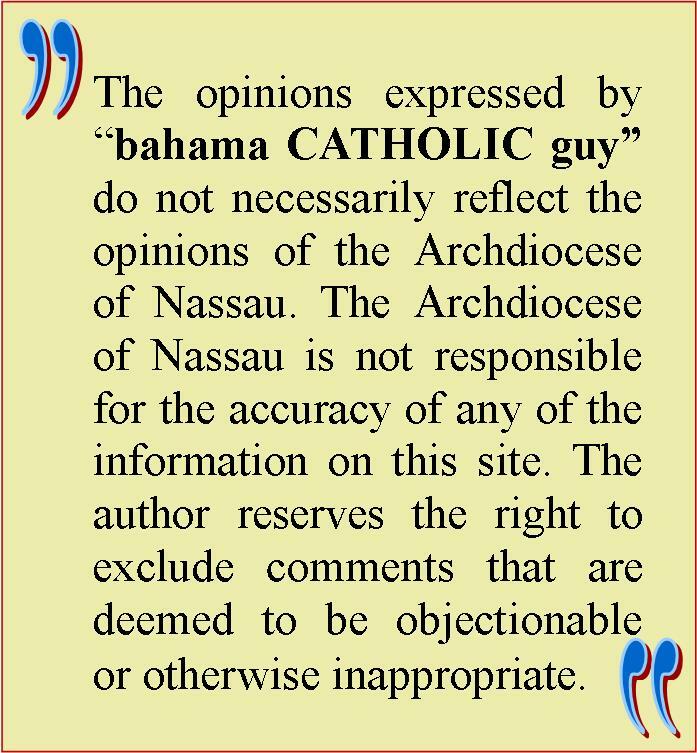 The Spirit of God was surely moving around the Catholic community of The Bahamas as many persons turned out to St Francis Xavier Cathedral for the Chrism Mass. The Chrism Mass manifests the unity of the priests with their bishop, as all of them gathered together at St Francis Xavier Cathedral to witness the blessing of the oils and to concelebrate Mass. The Mass is normally held on the Thursday of Holy Week, however, if it should prove to be difficult for the clergy and people to gather with the bishop, it can be transferred to another day, but one always close to Easter. The Oils to be used for sacraments and sacred ceremonies in parishes of the Archdiocese of Nassau throughout the year were blessed by Archbishop Patrick Pinder at the Chrism Mass held Wednesday, April 13, 2011 at 7:30pm. Archbishop Pinder consecrated the holy chrism which is used to anoint the newly baptized, to seal the candidates for confirmation, and to anoint the hands of candidates for priesthood at the time of their priestly ordination. During this season of Easter the Archdiocese does not have any candidates for ordination to the Priesthood. Archbishop Pinder also blessed the oil of the Catechumens which is used in the preparation of the Catechumens for their baptism. Further he blessed the oil of the sick which is used to bring comfort and support to the sick in their infirmity. The Mass was also used as an occasion for diocesan priests to renew their commitment to Christ-like service. In addition, the Sisters of our community also renewed their commitment to the religious order. The oils were then distributed to various representatives of each Parish. The Chrism Mass is a clear expression of the unity of the priesthood and sacrifice of Christ, which continue to be present in the Church. “Even now says the Lord return to me with your whole heart” (Joel 2:12). Friends it was the good of glory to the prophet Joel that we began our Lenten adventure over a month ago. And Joel didn’t stop there; he went on to say “Rend your hearts, not your garments, and return to the LORD, your God” (Joel 2:13). These same sentiments are expressed for us again; in 1 Samuel that says “not as man sees does God see, because man sees the appearance but the LORD looks into the heart" (1 Samuel 16:7). These weeks of Lent are a time and a season of a sincere personal renewal for all of us if we take it seriously. Lent is a time for us to seek to make positive change in our lives. It is a season for us to seek the grace to make those positive changes in our lives. It is a time when we all do the well, to take comfort in the words the Lord uttered through the prophet Ezekiel that says’ “I will give them a new heart and put a new spirit within them; I will remove their stony hearts, and replace it with a natural heart; thus they shall be my people and I will be their God” (Ezekiel 11:20). Now friends this is an invitation. 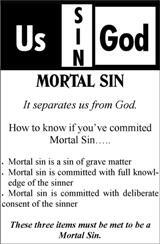 It is an invitation to a new covenant. It’s a story of broken relationships, the binding up of all wounds, forgiveness, forgetting the dark past, looking with hope to a bright future. It speaks of reconciliation. It is friends with that trust that we set out on our Lenten journey. Whenever I speak of Holy Week which begins this Sunday (Palm Sunday), we recall the unique celebrations of our Faith, and the Easter Vigil, we begin by lighting a fire, then lighting too the paschal candle, then we hear the Easter proclamation about the risen Lord, who’s name as “Christ” our light. We will baptize and receive new members of the faithful. And in this way the Church removes itself as it were in body just as it uses this season of Lent to renew itself in Spirit. We then pray in Faith for all of our needs, we venerate the cross, we receive the Eucharist though by custom the Eucharist is not consecrated on Good Friday. Holy Thursday; the evening of that day ends Lent and begins our Easter observance. It is when we gather to mark the celebration, the very institution of the Eucharist itself. And on that occasion we also hear the command given to us by the Lord; the command to love one another. We are invited to express that love in service to one another. That command is demonstrated in ritual form by the washing of the feet. Holy Thursday, Good Friday and Easter; these are not three separate celebrations. They are three aspects of one celebration, the paschal mystery, the passion death and resurrection of the Lord. Together these three days are called the Easter Triduum. Together they form the very core of our Liturgical year. They bring us to the very foundation of our Faith. We gather to celebrate as often as we do because our Faith is rooted in the belief that Christ died and was raised up from death. Among the unique celebrations of Holy Week is this celebration of which we are gathered here tonight, the Chrism Mass. The usual time of this celebration is the morning of Holy Thursday, but for practical reasons, for paschal reasons, we here in our little Archdiocese celebrate the Chrism Mass the week before Holy Week. The proper place for this liturgy is precisely this place, the Cathedral. The opportunity began as a Catholic community to gather and celebrate the valuable aspect of our Faith. Now we have gathered often this Lent. We gathered on Ash Wednesday of course to begin this season, we gathered for our Lenten Mission; we gathered for our Midday Bible reflections, we gather now tonight to bless the holy offerings. We will bless the oil of Chrism, the oil of the sick and the oil of the Catechumens. We are instructed and we are reminded that Chrism takes its name from Christ, and lends its name to this celebration. Christ is indeed the anointed one. His anointing is prefigured in the anointing of Priests, prophets and kings in the Old Testament. His coming is prefigured in the words of the prophet Isaiah, the words proclaimed for us this night. His arrival is announced in the words of the Gospel of Luke also proclaimed for us this night. Read the words of the prophet Isaiah, Jesus declares “the Spirit of the Lord is upon me therefore he has anointed me, he has sent me to bring glad tidings to the poor, to proclaim good news to the captives, recovery of sight to the blind and release the prisoners”. And commenting on those words, Jesus goes on to say “today this scripture passage is fulfilled in your hearing”. Now I am often enough captive of my own fear, my own lack of love. I am often enough blinded by my own self-centeredness and I am not unique in that. We all share those faults. Christ our Chrism proclaims liberty and sight to us who are so badly in need of it so we must come to this celebration with gratitude. Beloved, the oil of Chrism which bears the name of Christ is used in the sacraments of Baptism, Confirmation and Ordination. It has other uses as well but it is used in those sacraments. This Chrism will be used for Baptism and Confirmation this Easter and indeed throughout the year. This year though once again we have no ordinations for this Archdiocese, therefore our prayers for vocations must be all the more fervent. The oil of the sick that weighs the healing power of the Lord and the care and concern of the Church for those are hope in body and Spirit. Anointing with the oil of the sick is not so much an indication of the nearness of death as it is an expression of our hope and our trust in the healing power of Christ who is the Lord of life. You should welcome being anointed when you are sick. We should not fear it. Family and friends should be present in sharing of the liturgy of the anointing of the sick, to raise our Spirits and to pray with us to God. 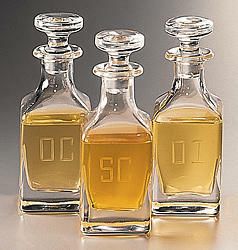 The oil of the Catechumens is the least used of the Holy oils. It is used to anoint those being prepared for Baptism. Its purpose is well expressed in the words of the blessing; “Lord God, give wisdom and strength to all who are anointed with this oil of Catechumens in preparation for their baptism. Bring them to a deeper understanding of the Gospel, help them to accept the challenge of Christian living and lead them to the joy of new birth in the family of your Church. These oils which are blessed tonight each have a place in the life of the ministry of the Church throughout the course of any given year. They are indeed a valuable aspect of our faith. This is an aspect of our faith to be appreciated, cherished to be celebrated. On this occasion the Church invites our Priests and Deacons and religious to renew their commitment to service whether they are ordained or professed for 5 years or 50 years, this is the time of public renewal of that commitment. We are surely grateful for these examples of Faith and service in our midst. We thank God for them. It is good to have all you members of the faithful present to share in this Liturgy; for those who minister to you so often renew their commitment to that ministry. I believe this is the largest gathering I’ve seen at the Chrism Mass since I’ve been Archbishop. It is good to gather for occasions such as this, it’s special, it’s unique. It’s only once a year and it is ours. So dear friends, it’s good to you members of the faithful present for this celebration. The Grace of our Lord Jesus Christ, the love of God and the fellowship of the Holy Spirit guide us and sustain us. I now invite our clergy and religious in turn to once again renew their commitment of faith, love and ministry and of service. They are example of always to be that of Christ who came not to be served but to serve and to give us the true example of what a life of service really ought to be. He came not to be served but to serve, to give his life in ransom for the many including us.